Today President Trump met with Angela Merkel, the Prime Minister of Germany. They both spoke, answered questions and had lunch…end of event. Last Saturday night I went over to Wingdale for a meal with some visiting friends, one from Midland Texas, and had a good meal at Big W’s Barbeque. 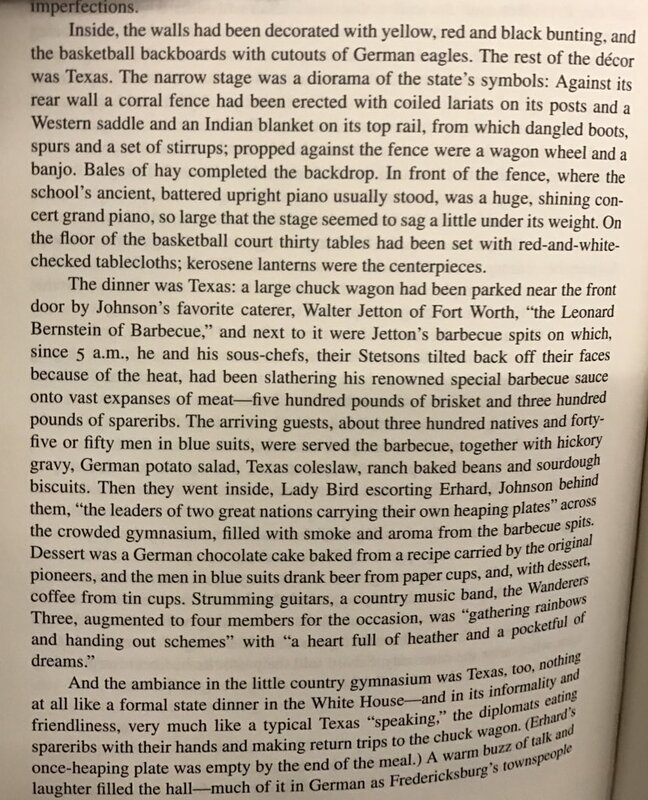 Now when you want to talk about diplomacy and showing a visiting dignitary a good time, click on the history of BBQs at LBJ’s Texas Ranch. It’s a great history and in particular how to treat our German visitors.